MERRY CHRISTMAS AND HAPPY HOLIDAYS FROM FINNSCONNECT! FinnsConnect is an active group of Finns living in South Florida. Our aim is to provide opportunities to get together and meet new people by organizing events, parties and activities in Broward and Miami-Dade area. 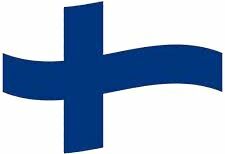 FinnsConnect is affiliated with Finlandia Foundation National. We invite all Finns to join us now! No matter if you have lived here for 30 years or 30 days, let’s connect and have fun! You may support us by becoming a member, liking and sharing our Facebook page and following us on Instagram.